It’s 2017. We don’t need more Hymns. We need more Hyrrs. Grey London have teamed up with Goldstein Music to release a feminist album of rewritten Christmas hymns designed to stick it to the patriarchy and raise money for women in need. 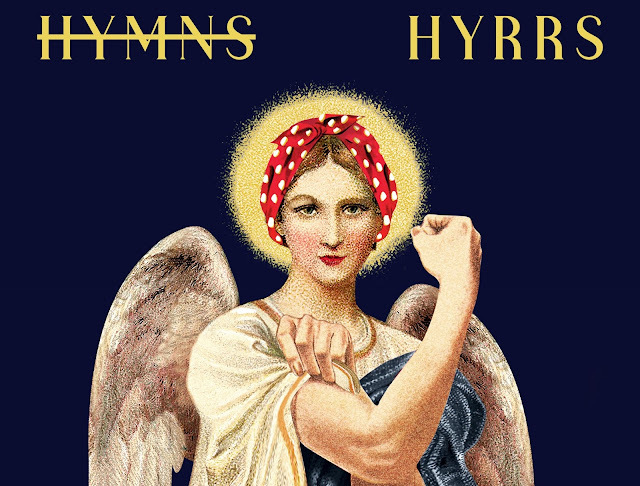 ‘Hyrrs: Festive Hymns Made Feminist’ is a reworking of famous festive songs and covers issues including body shaming, workplace inequality, sexism and harassment. The songs are available to download from iTunes, Google Play and Amazon, and stream from Spotify and Apply Music, with all proceeds going to Refuge, a national domestic violence charity which provides lifesaving support to thousands of women and children. Shockingly, 1 in 4 women in England and Wales are affected by violence in their lifetime. The creatives behind the project are Christopher Keatinge and Tom Houser, who collaborated with copywriters Augustine Cerf and Laura Nunneley. The album artwork uses ‘Lacuna’ - a typeface created by female typographer Imogen Ayres. Grey London are promoting the songs as part of an ongoing pledge to fight against inequality. Go to www.hyrrsnothymns.com for details on where to find the songs, download the Hyrr-Book and find out how you can donate to Refuge.